We provides Big Data | Data Analytics | Business Analytics | Cloud Computing | Artificial Intelligence. 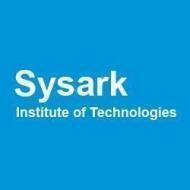 Hi,Greetings from SKT Institute(Sysark). We will provide training offline and online in SAP US payroll & Success Factor Recruitment & On boarding. For details call to our number. Kindly suggest me what SAP module should I go with? Currently I am working as SAP BPC Consultant with 3 years of in SAP FSCD module and ABAP, I am an engineer with MBA. I am looking for a good career options in SAP, however I am not sure to what module should I get into.Which will be beneficial for my career growth. I heard BPC does not have a good future as HANA is taking over everything. I have no experience in FICO or HANA or BW. Kindly suggest me what should I go with and how can you help me in this process? SKT Institute conducts classes in SAP. It is located in S R Nagar, Hyderabad. It takes Regular Classes- at the Institute and Online Classes- via online medium.